Stay fresh and dry all day long with our range of wholesale deodorants and anti perspirants! Whether your customers prefer roll ons or sprays, we've got something to suit everyone. Get 10% off your first order when you use code FIRST10. We’ve been supplying wholesale health and beauty products to businesses of all sizes for decades and our range of wholesale deodorants is simply second to none. 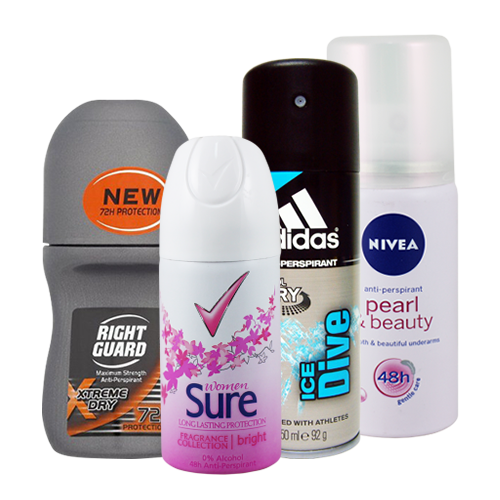 From some of the industries’ biggest brands such as Adidas, Dove, Imperial Leather, Lynx, Right Guard and Sure we stock a large selection of wholesale deodorant products that will help boost hygiene and keep your customers smelling fresh and odour free all day long. When it comes to men’s anti-perspirants you can’t go wrong with Lynx. And here at Harrisons Direct our selection of wholesale deodorants contains a number of Lynx deodorants including Attract, Africa, Dark Temptation and Full Control. Right Guard Xtreme Invisible Dry is specially formaulted for women and the innovative formula anticipates sweat before it starts for the ultimate protection. There’s also a variety of Sure for Women anti-perspirants including Cotton, Natural Minerals and Clear Pure, all of which provide long lasting protection against wetness and odour with a fresh fragrance. Helping to neutralize the smell of sweat wholesale deodorants are a must have for all your customers looking to get on with their day without the lingering smell of body odour following them around all day. We stock Sure For Women in two different fragrances Clear Aqua and Bright, both of which are specially formulated for long lasting with up to 48 hours protection. For those with sensitive skin there’s Dove Deodorant for women, it also provides up to 48 hours protection and doesn’t leave annoying white marks. Gillette Body Spray, available in Cool Wave and Arctic Ice will leave guys feeling confident and protected all day long. Easy to apply and long lasting we stock a large selection of wholesale Roll-ons specially formulated for women. Dove Roll On Deodorant, Imperial Leather Roll On Deodorant Silk Pink and Nivea Anti-Perspirant Roll On Deodorant Pearl & Beauty provide long lasting protection against wetness whilst providing a fresh fragrance all day long. For the gents we stock Sure Roll on Deodorant Original which is also specially formulated for long lasting protection. Why Shop With Harrisons Direct? 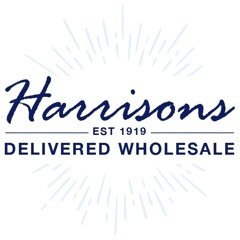 Experience our exceptional customer care and make the most of our timely and reliable delivery service when you purchase wholesale deodorant from us here at Harrisons Direct. If you’d require more information on purchasing wholesale deodorant or have any other query then don’t hesitate to get in touch. Call us today on 01254 306840 and we’ll look forward to hearing from you.